Borders recently filed for bankruptcy. And while they may still be able to reorganize under Chapter 11, and pay off some of their existing debt someday, chances of most of us in the publishing world getting paid for our labors are looking slim at best. The last time a major chain bookstore went out of business—Tower Books in the mid-1990s—a vast proportion of the small presses in the U.S. went under too. The ripple effect on small presses from the Borders collapse will be different (since Borders’ buying policies have never been as enlightened as Tower’s), but the overall effects should prove to be no less catastrophic to an already reeling industry. In this round, Tachyon will come through with just a few ugly bruises. We'll be the field mice in the land of dinosaurs; under advice from our distributor, we've been underselling to Borders for a couple of years now. Contrast that with a larger company like Penguin, which is out over forty-one million dollars. That'll hurt any company, no matter how large. So what can we expect in the near future? More layoffs, fewer titles, smaller advances, and fewer royalties paid to authors (for all those books that were sold by Borders but not paid for). What can be done? Not buying from Borders right now would be an excellent start. There are still a few stalwart independent local bookstores that are well worth supporting, as well as another brick-and-mortar chain store, and a major online book retailer. Bargain-seekers are flocking to Borders to take advantage of their big going-out-of-business sales, buying books that will no longer be part of the bookselling ecology. Discounts will continue to get deeper at Borders as stock levels decrease. But remember, when you save a few dollars by shopping at Borders, that money is coming out of the pockets of the publishing world. And it’s ultimately being taken away from authors whose work you enjoy, people like Peter S. Beagle, Michael Swanwick, Joe R. Lansdale, Nancy Kress, and Ellen Klages, and your own favorites. Let's Ring in the Spring with New Books! 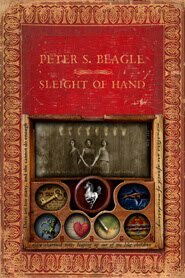 As io9.com so rightfully reminds us, "A new Peter S. Beagle collection is always cause for celebration"
If you're a Beagle fan, then you've been excited about this new story collection for months. And if you've never read any of Beagle's short fiction, here is the book to start with. "...prime pieces by respected genre writers. 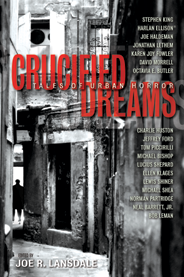 Readers of science fiction, fantasy, and horror will find something within their tastes to enjoy." Suzanne over at Steamed! has named her top steampunk picks for 2010, and we're on the list! If you're a steampunk fan, and you aren't reading this blog yet, hop to it! There's a lot to offer over there. Also, Bookgasm loves us--or at least, Bookgasm loves Flaming Zeppelins. It's a steampunk Lansdale, what's not to love? Time to get excited, folks. And I mean REALLY excited. Wednesday's SF in SF movie night is screening BOTH Batman: Dead End and Hunter Prey! As if that weren't enough, Director Sandy Collora will BE THERE for Q&A, Meet & Greet and autographs! You do NOT want to miss this one. Doors open at 6, event starts at 7, and remember: don't drive, BART!